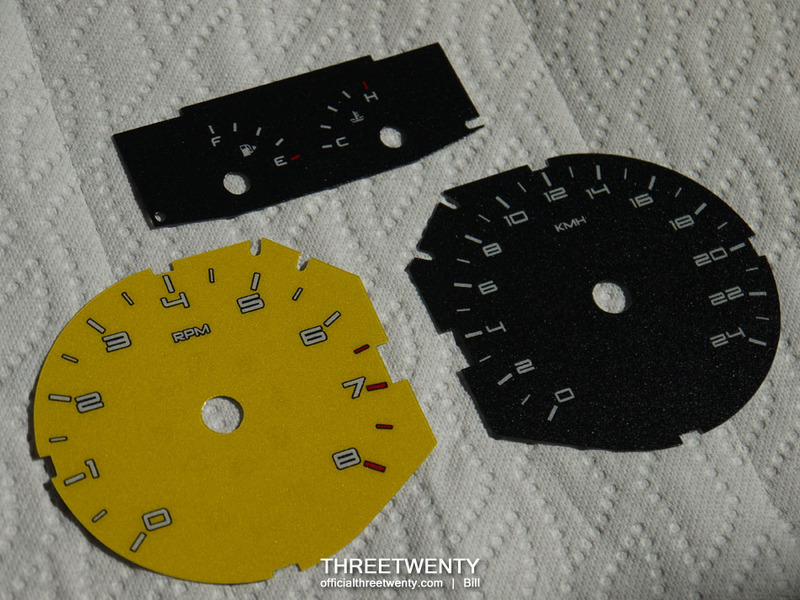 As you may recall, just before this year’s Sunday School in August I installed a set of gauge faces from Black Cat Custom (BCC) to update the Focus a bit. I knew of a few people with a set and feedback had been good so I ordered some for myself and promptly installed them following their arrival. Today I want to provide the promised review of the gauge faces as a follow-up to the initial post. I purposely waited to post this review as I wanted to live with them for a while first in case I noticed problems down the road, or my initial fascination wore off and left me wishing for the old faces back. Neither of these scenarios happened and I continue to enjoy seeing the gauges every time I get in the car. I have now had them in for a few months which has given me plenty of time to try them out and get used to them. 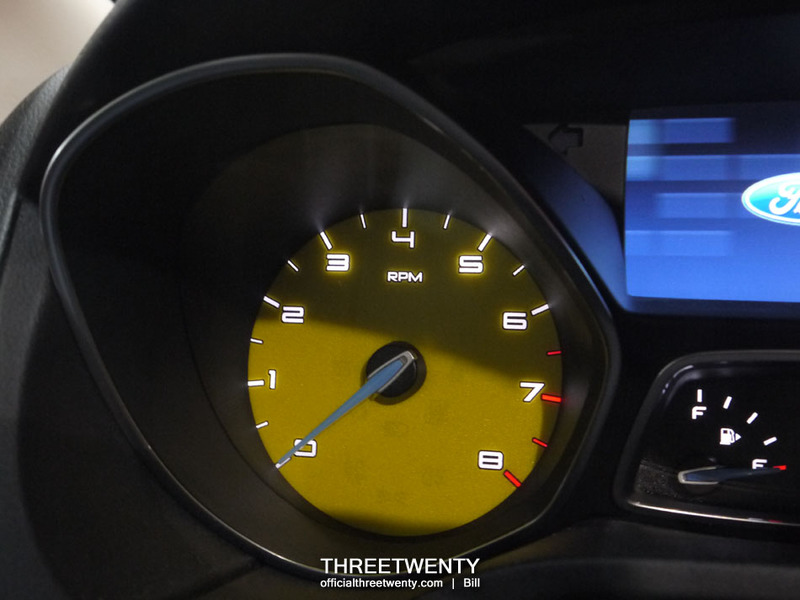 I can say that while I did like the factory gauges, I don’t miss them at all and have found no significant short-comings of these replacements. Before I get too far ahead of myself though I should offer more detail and thoughts on them. I decided to break this review up into three sections; first I will comment on my initial impressions of the parts themselves, then the installation, and finally what they are like once installed. Upon opening the package I immediately inspected the faces and found them to be very well made with crisp, clear markings and no visible flaws. The colouring was even and as noted in the install post all of the markings for the warning lights were included so the cluster would function as before. One difference that other owners of these have noted (as well as myself) is that their finish has a little more gloss than the OEM gauge faces. It’s not detrimental to their quality or really a negative in any way, merely a slight variation as compared to the original faces. The install is extremely straight-forward and while it may sound involved to remove and disassemble the instrument cluster, in reality it’s very easy. The cluster is held in with just two small bolts and can be taken out in a few minutes. The steering wheel will have to be fully extended and lowered to allow the cluster to fit between it and the dash. There’s one connector on the backside to unplug and then it’s free from the car. The assembly comes apart easily as it’s merely held together with plastic tabs around the perimeter, which aren’t hard to release. Removal of the gauge faces requires removing the needles first (which pop off) and then releasing them from a couple of small tabs. Again, very easy to do. With the faces replaced and the needles re-installed and aligned (more on that below) the whole cluster goes back together just as easily as it came apart and it doesn’t take long to re-install it in the car. The one connector needs to be plugged back in and then the two bolts are tightened down to secure the whole unit. The only difficult part of the procedure isn’t even necessarily hard, but rather takes some care and a bit of trial-and-error. It is obviously important that the needles are re-installed in the correct orientation to ensure that all gauges read accurately (“How fast did you say I was going officer?”) so a bit of time must be spent to ensure they are perfect. It is highly recommended to mark on the cluster the location of each needle’s tip before removal (place the mark in a spot that won’t be seen after the cluster is back together) and when putting the needles back they can then be aligned with the marks. Even with these though it’s important to double-check with the car on. When the car’s fully warmed up the temperature needle should sit right in the middle of the scale, and make note of what the fuel gauge reads before you begin. Cruise control can be used as a way to double-check the speedometer, and the tachometer’s needle can be checked by noting what it reads at a certain speed prior to dis-assembly. For example, at 60 kmh in 4th gear my tachometer would display 2000 rpm – following the install I took the car to 60 and put it in fourth gear, and my tach displayed 2000 rpm again. I know my car idles at about 750 rpm so I could check that as well, but by using this method I knew the needle should sit exactly on the 2000 rpm tick mark, leaving less room for error. So far so good, but what are they like once installed? I find them to be perfectly usable. Specifically looking at my set, with markings every 500 rpm and 10 kmh I have no trouble telling what the revs and speed are and am extremely happy with the design – but what about aspects that would apply to other sets as well? They are easy to read and the markings illuminate clearly. As already stated the finish has a bit more gloss than the original faces but that does not pose a problem. I have found that there seem to be faint variations in lighting for the numbers on the tachometer resulting in a few brighter spots, but it’s not severe. Unless I’m looking for it I don’t notice it, and during the day the variation can’t be seen anyway. Fortunately for illustration it’s fairly visible in the above photo – note how the 3 and 5 are brighter than the 4 and 6 (1 and 7 are brighter as well – check the photo below). I’m not sure if it’s a common occurrence or not across BCC’s products but it’s certainly not a deal-breaker for me. I don’t recall reading anything about it prior to my purchase so perhaps it’s just my set. If I had to be picky there is one small issue but it can’t be blamed on BCC. In bright sunlight it can be hard to see the green lights located in the tachometer, but that’s because of the yellow face I requested. The green lighting doesn’t show up as clearly on the yellow face as it would on other colours. However, they merely tell me that the vehicle’s lights are on which I already know. Otherwise, all of the cluster’s lights and symbols are perfectly legible. I would absolutely recommend these to Mk3 Focus owners looking to update their interiors with something unique. The pre-made sets are cool to begin with but the fact that BCC accepts custom designs means that you can really set your car apart from the rest. The price was reasonable, customer service was great, and with it being such a highly used part of the car, the time and money spent updating the cluster was definitely worth it. As I said before, every time I get in the car I enjoy seeing these and frankly I wish I had ordered a set sooner. These are definitely among my favourite parts on the car.